Securing corporate data and preventing Malware attacks before they happen is important to our customers. Cyber Alarm Antivirus for Salesforce provides a native Force.com prevention capability to scan Attachments before they can enter into your Salesforce platform. Cyber Alarm maintains a comprehensive list of Antivirus Signatures which are updated daily. To activate all of the features of Cyber Alarm including real time upload protection, you can email sales@starpond.com to request a quotation for a full license. Starpond Software is proud to announce that the Cloudpond S3 Connector was added to the Salesforce1 Mobile collection in the Appexchange today. Try it our on your iPad today! What can you learn from Instagram and Netflix to save thousands? 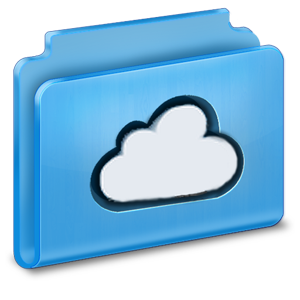 What do both of these companies do regarding cloud file storage that we can learn from? Both utilize AWS S3 to store files in the cloud in a very cost efficient way. After 42 consecutive price reductions, it is no secret that Amazon AWS is an industry leader in cost efficient cloud file storage. So how can your company utilize S3 to save thousands, accomplish effective document management and rid your bottom line of cloud storage application cost? The answer is the Cloudpond S3 Connector for Salesforce, now available in the Salesforce AppExchange. Document Management and Cloud file storage Integration with Salesforce does not need to be expensive. Don’t get boxed in by the high prices of Enterprise Storage licensing! 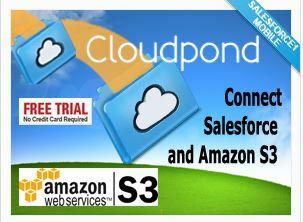 Cloudpond S3 Connector connects the Salesforce CRM directly into your company’s AWS S3 account. It maintains a folder system in AWS that matches your CRM’s every object instance, its record Id and its record name. Cloudpond’s folder system inside S3 is dynamic and will mirror your Salesforce Record attachments. We would like you to try Cloudpond S3 Connector today. We connect the world’s leading CRM, Salesforce with one of the most popular and affordable cloud storage systems: Amazon S3. So get Cloudpond now for your Salesforce Org . Stop paying outrageous prices for integration licensing or using other other per seat cloud storage providers. Install Cloudpond S3 Connector in the AppExchange to connect Salesforce to your S3 storage. Then ask yourself why you would ever need anything else for Salesforce file storage? Requires an AWS Account with S3. All three of these companies use AWS S3 to store files in the cloud in a very cost efficient way. After 42 consecutive price reductions, it is no secret that Amazon AWS is an industry leader in cost efficient cloud file storage. So how can your company utilize S3 to save thousands, accomplish effective document management and rid your bottom line of cloud storage application cost? 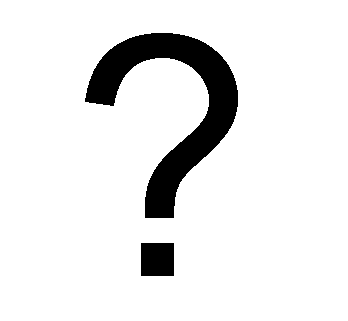 The answer is the Cloudpond S3 Connector for Salesforce, now available in the Salesforce AppExchange. We would like you to try Cloudpond S3 Connector today. We connect the world’s leading CRM, Salesforce with one of the most popular and affordable cloud storage systems: Amazon AWS S3. So activate your coupon today for Cloudpond S3 Connector in the AppExchange connect Salesforce to your S3 storage. Then ask yourself why you would ever need anything else for Salesforce file storage? Requires an AWS Account with S3. Cloudpond S3 Connector by Starpond Software Pty Ltd. is an AWS S3 storage connector utility for Salesforce object instances. Simple, efficient and effective. A Free 30 Day Trial is included. 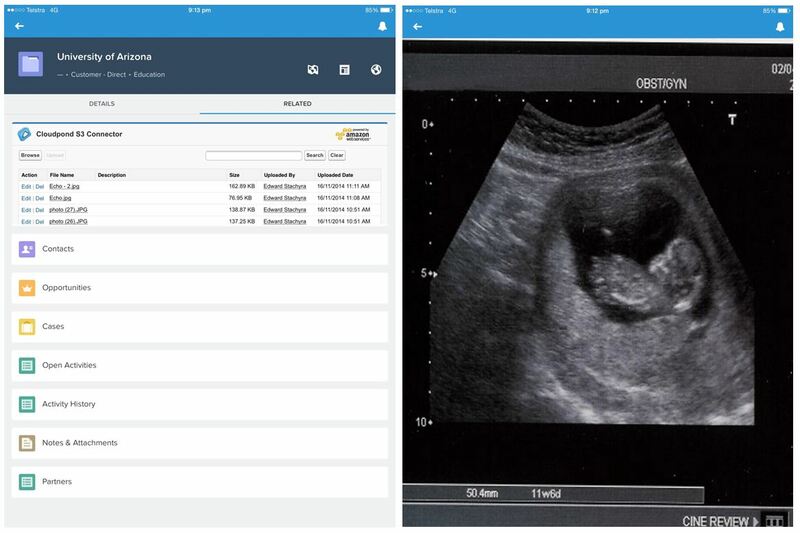 Available now in the Salesforce AppExchange.